JUNE 2, 2012: This website is dedicated to one of the branches of the Peter Cline (1756-1843) family of the Tug River Region of KY/WV/VA. For information on all of the Cline descendants of Peter Cline, please visit our other website, www.clinefamilyassociation.com. That website includes more information on other Clines, including Perry Cline who was part of the Hatfield-McCoy Feud. William Cline (Johnson) was born abt. 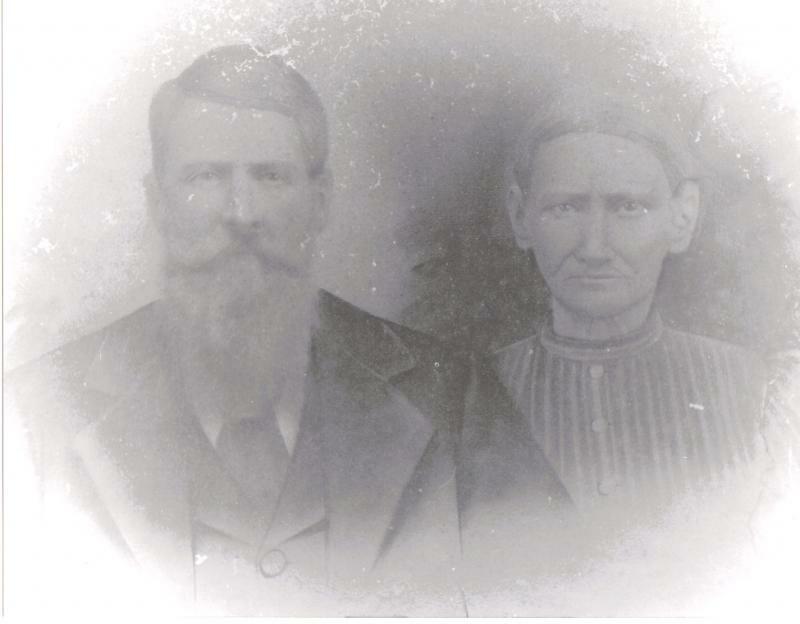 1820 in Virginia and lived most of his life in or around Tazewell County, VA. William is the illegitimate son of Michael Cline (1778-1860) and Eleanor Johns(t)on (abt. 1800-1863). In 1849, William married Sophia Robinett, originally of Wythe County. They had six children to live to maturity. William served in the 16th Virginia Cavalry, Company I, CSA and was wounded in action during the Gettysburg campaign. He died abt. 1886 and is buried in the Cline Johnson Cemetery on Red Root Ridge in Tazewell County, VA.
William used the Cline and Johnson surnames interchangeably throughout his life because of his illegitimate birth. Although William was a Cline through his father, at that time, illegitimate children customarily took the surname of their mother for purposes of inheritance and for other "official" legal purposes. William often used the Cline name and was known as both Cline and Johnson, but married under Johnson and bought land under "Johnson, alias Cline." If you are descended from William Cline (Johnson) (or think you may be), please click on the "Contact Us" page and email us. We would love to hear from you. We are currently building a database for all William Cline (Johnson) descendants. If you are interested in adding your Cline Johnson family information to the tree, please send me (Jerry Cline) the information, preferably in a word document. Our research is ongoing, time permitting. Any and all Cline Johnson surname stories and additional research documents are certainly welcome. 5/31/2012 - The recent mini-series, Hatfields & McCoys, starring Kevin Costner, takes certain liberties with the actual facts as they pertain to Perry Cline [click on the page above for the "Hatfield McCoy Feud" for more information]. First, in the movie, when Perry Cline first confronts Devil Anse Hatfield, he is portrayed as an attorney representing a client who claims that Devil Anse is cutting timber on his client's land. This is a complete fabrication of the actual facts. In reality, in 1872, a lawsuit was filed by Devil Anse Hatfield against Perry Cline over ownership or timber rights to a 5,000 acre tract of land on Grapevine Creek. Perry, and his brother Jacob Jr., inherited that 5,000 acre tract from their father, Jacob "Rich Jake" Cline, in 1858 when Jacob died. The matter was settled out of court by 1877 when Perry deeded his interest in this 5,000 acre tract to Devil Anse. During this period, Perry was not a lawyer, and he was not representing anyone else's interest as a lawyer. It is unknown how Devil Anse Hatfield got control of that tract of land. However, it was not due to Perry Cline filing a false claim as an attorney on behalf of another, as is claimed in the movie. Perry Cline does not become a lawyer until several years after the beginning of the lawsuit. What is clear is that the writers intended to portray Perry Cline as a "shyster lawyer" from the very beginning. Second, Perry Cline was married in 1868 to Martha Adkins and had several children with her by the time of the major events of the feud. However, in the movie, Perry is portrayed as a bachelor, with interest in Roseanna McCoy, which never happened. It is true that Roseanna lived with Perry Cline and his wife and children in later years, but as a nanny and nothing more. The end of the movie is a further attempt to smear Perry Cline when he introduces his bride to Frank Phillips. The insinuation by Frank Phillips, that Perry liked his women "young," is demonstrably false as shown by census and marriage records. The 1870 Logan County, West Virginia census lists Perry Cline as 20 years old, with wife Martha as 21 years old, and their oldest child, John (1 yr old). If the real Perry Cline liked his women "young," he would not have married someone older than himself. As is obvious, the writers were again attempting to paint Perry Cline in a negative light.